If you are thinking of a comprehensive office renovation which includes a complete electrical services rework, data cabling, home automation services, Office fit Outss, repairs and maintenance, breakdown services, office fit outs Chippendale that befits any office interiors and any type of emergency electrical services, it is Sequence Communications and Electrical to touch base with. For any workplace, office or company, office fit outs Chippendale are definitely the need of the hour. Fit outs and partitions help separate and divide the different sections within an office or company. As per the commercial office design, fit outs are the best answer as absolute space usage is ensured. Chippendale office fit-out comes in many different types and Sequence Communications and Electrical is a specialist in its installation, maintenance and repairs, if any. 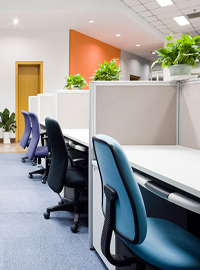 "For an anytime office fit-outs services in and around the suburb of Chippendale and beyond and for office partitions Chippendale, make contact with, Sequence Communications and Electrical at 0418 139 999 or (02) 9913 9999 or write to us at peter@sequence.net.au."